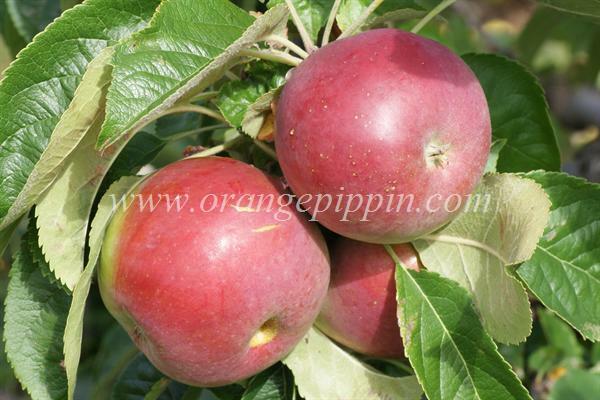 Medium size, firm fruit with 90% dark red color over greenish background. Flesh firm, crisp, high quality with flavor similar to McIntosh. very good earing, Flavor does not reflect parentage, has its own unique flavor, breaking flrsh , juicy. Nice appearance but not exceptional, tendency for prehaevest drop. If not satisfied with your present preferred apple, this is a must try. More like a Mac than Johnathan, I think, but a touch sweeter. Delicious eaten out of hand. It didn't last long enough for me to tell if the very white flesh would brown! Very nice. 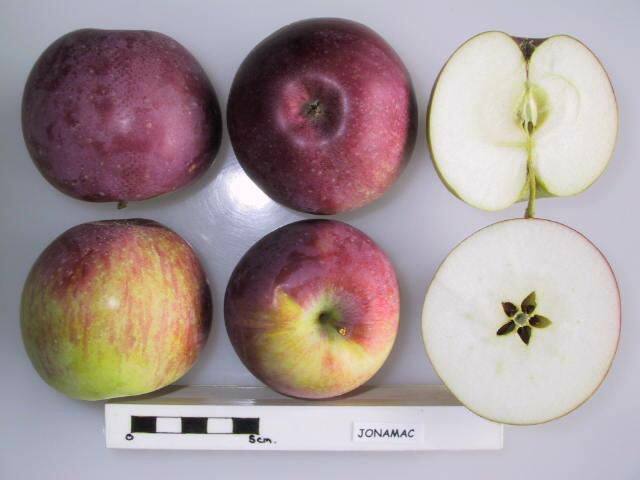 After raving about Cortland for years, I just found my new favorite apple, consistently even better than Cortland -- Jonamac. It tastes almost exactly the same as Cortland, but it might be slightly more tart, not quite as soft (but pretty close), more juicy, and a more shiny and beautiful looking apple than Cortland. It also has an aftertaste that is like honey -- delicious! The one disadvantage it has compared to Cortland is it turns brown like a normal apple and does not stay pure white for a long time -- but who really cares! Delicious. The flavor can be described as crisp, freshly firm and almost a cinnamony/nutmeg spicy undertones. Spicy is the best way to describe it. Its an umami Macintosh. Very savory, its hard to eat just 1. On first bite you'll think, "What is that flavor? Yum.". Probably one of the more under appreciated apples in the New York orchards, picked less due to seasonal overlap, but tastes superior to Macintosh As an everyday eater and lunch apple, its highly recommended. Marginal cooking apple, but OK if mixed with Cortlands to provide some zip. 4 out of 5 rating, this would be an outstanding apple if it kept longer, keeps a measly 2 weeks on the counter, and just over 2 months in the fridge. Not a "next year" apple in storage.